Which episode is 20.5 here? I seriously hope you guys don’t do this. TL;DR: Read it you incompetent. that page isn’t listing the .5 episodes. and episode 21.5 and 22 are not released here yet, right? Wiki is usually pretty accurate with the ep listing, and i checked the mal yesterday. Uhhhhh… Not gonna do umee’s for these last two episodes. It wouldn’t feel right since you guys do this so well. But can you tell us when we can expect those last two? If the strike is already over that is. Thanks. I was a bit curious about this release as well. In the last update you said you were waiting for the last volume (9) to come after the Canada post stuff, but I’m assuming you’ve got it by now since its up for sale with the other 8 volumes. I can completely understand if this got pushed to the back burner, with things like your real life and the Nyaa stuff taking up your time. Just wanted to know if you were still planing to release those last two episodes at some point down the road. I believe the last disc is out, but umee has yet to sub 21.5. There’s been no activity on their site for some time and people are starting to assume they’re a dead group. Is this show worth re-picking up once the BDs are done? @Pharmboy – Best news I’ve heard all day. Thx for posting the last eps. 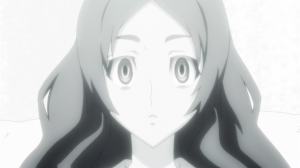 Thanks for the release but I was wondering…which fansub group subs did you use for Shiki? will there be a v2 script with better timinging and more typset? can you upload it on Megaupload ? Hi, is there a reason you didn’t use a fan-sub for this and went with the R1? The only fansubs available for Shiki are Taka, who hardsubbed their script. Umee (the source of subs for this) are edited softsubbed Funimation subs. Funimation subs tend to be the best of the official subs. I highly doubt Taka are better. @fhgjhjghj thank you, guess that explains commie as well for me. Thx CG as always. Is the different style in episodes 19 to 22 subs accidental or just lazy maybe? =_= It looks you just forgot to change them to bold or something? Is it possible to have only the subtitles of these episodes, please? Thanks. Please seed it again. Download speed is really low. It’s a shame for such good anime not to have even single good working torrent. now, which groub did better? elysium or CG ..
Subtitle size is really too big. The rest is good. Is there way to manually change subtitle size??? here’s 1. i never realized before, but do bluray-ver have their own preview..